With three resorts in Vermont and nine in the Northeast, this year’s MTBparks Pass is on sale now for the 2017 season. Celebrating its fourth year, the pass is the first and only one of its kind for mountain bikers, giving members one free day of riding at more than 30 resorts across North America, as well as additional benefits including unlimited discounts on lift tickets during subsequent visits at many participating parks as well as deals on bike shop retail, rentals, and food and beverage. Beyond the one day of free riding members receive at each resort, the following premier partners offer an additional benefit of 50 percent off any return visit during the 2017 season: Trestle Bike Park, Colo.; Bike Granby Ranch, Co.; Angel Fire Mountain Bike Park, N.M.; Grand Targhee, Wyo. ; Big Sky, Mont; Pajarito, N.M.; Snowshoe Bike Park, W.Va.; Massanutten Bike Park, Va.; Bryce Bike Park, Va.; Attitash, N.H.; Windham, N.Y.; Thunder Mountain Bike Park, Mass. ; Mt. Snow, Vt.; Killington Mountain Bike Park, Vt.; Evolution @ Okemo, Vt.; and Sugarloaf Bike Park, New Brunswick, Canada. 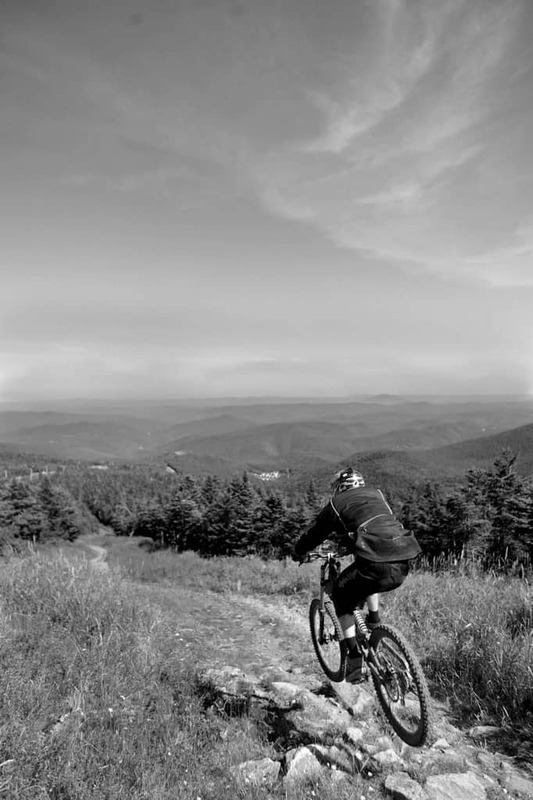 A rider takes in a nice view as he descends a path on Killington Resort’s mountain biking trail system.